This supports and builds on efforts by the government to reduce road accidents and fatalities as about five lakh accidents are reported across the country every year, leaving some 1.5 lakh people dead and many more injured. 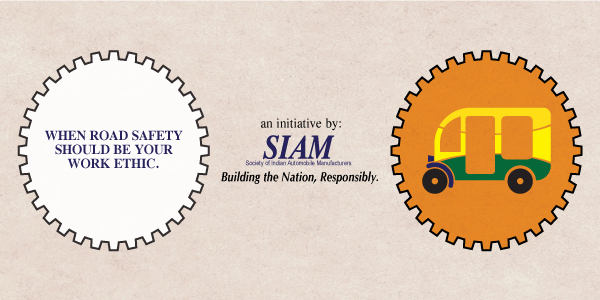 Road Safety has always been a top priority for the Society of Indian Automobile Manufacturers (SIAM) members. 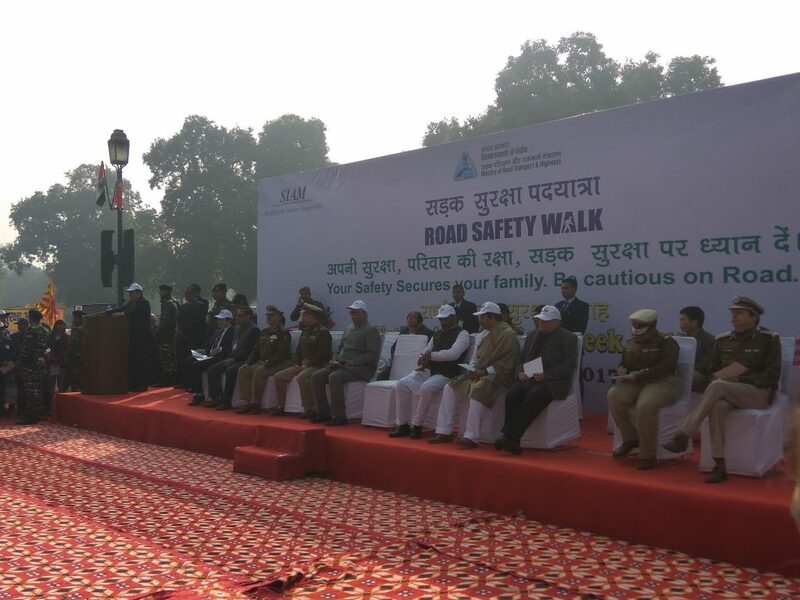 In recent years, companies have further increased their focus for road safety as well as awareness and traffic safety education by reaching out to its stakeholders such as government organisations, civil society including schools, traffic police and NGOs. SIAM is working with its members and dealers along with active participation of traffic police and other stake holders to spread awareness on the issue. In January, about 10,000 school children participated in activities like drawing competition, quiz competition, street plays and jingles to educate people on road safety. 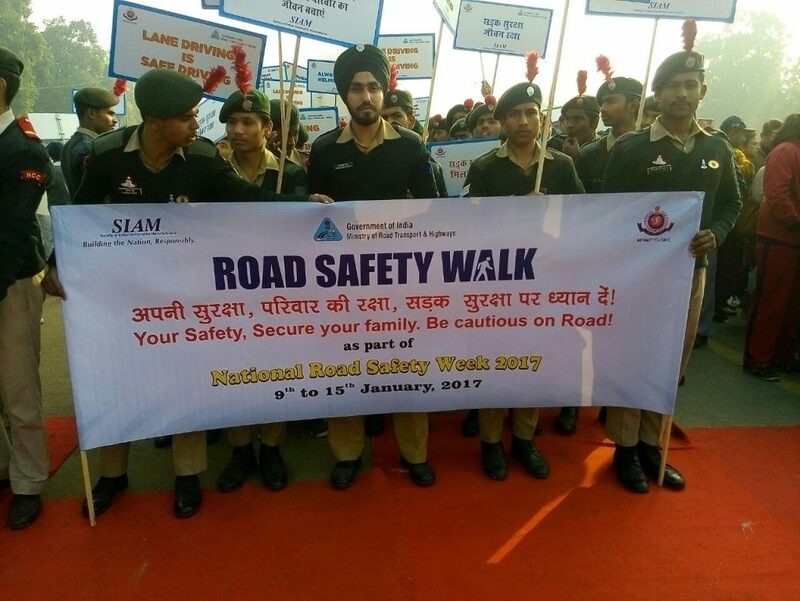 The events were held as a part of the ‘Road Safety Week 2017’. Events were also held in New Delhi, Mumbai, Haridwar, Ludhiana, Chandigarh, Odisha, Madhya Pradesh, Jaipur, Andhra Pradesh, Kolkata, Bengaluru and Pondicherry with focus on four key aspects collectively termed as the 4Es: Education, Enforcement, Engineering and Emergency Care. Undoubtedly, the traffic system needs to be overhauled as existing infrastructure has not been able to keep up with the phenomenal increase in volume of vehicles. There is an urgent need to adopt intelligent traffic management systems to track traffic violations in real-time as conventional systems based only upon police has proved inadequate. Members of SIAM are acutely conscious that as more Indians buy cars and bikes, the need for safer vehicles will only increase and the Industry is aligning its regulations with best international practices and standards. SIAM and its members would continue to work with other stakeholders in making both our vehicles and road much safer and also work towards adopting intelligent road traffic management and integrating the vehicles and road in a one seamless system.